What job opportunities does the IT sphere have for you? Just look from the IT professionals around you till e.g. Microsoft's more than 10,000 millionaire employees. IT sphere is one of the developing sectors in the world economy with growing demand for quality workers (you can get acquainted with e.g. official US forecasts for 2010-2020). There is no sphere of human activities or place where IT is not usable. Taking into consideration the infrastructural characteristic of IT, you can choose any sphere which interests you (from algorithm analysis to mobile games) or organization (from freelancing to global giants) and use your strengths most effectively. You have the ability to define your work schedule (when to begin? how many hours to work?) and place (even in a cafe). Have you worked with a computer? Then you have the starting skills. What kind of education can you get at IT School? You will be able to begin working after mere months of hard study. You will get knowledge necessary for real works, and immediate opportunities to use. Your knowledge and work experience will be related to technologies with long-term and emerging perspectives. You will have opportunities to participate in work projects and get paid while studying. * Special note: If your goal is not learning maximum quickly and working, but simply getting a certificate, please do not apply. All interested candidates aged from 18 and up, and with at least basic computer skills can apply. Duration of the course is one year. 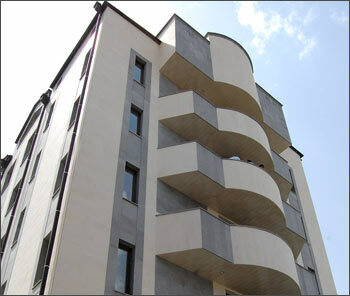 practical works and student projects. * More detailed information is given to candidates and students. The education at the IT School requires payment of 200,000 AMD for the whole duration of tuition. The IT School Foundation is not-for-profit organization: the mentioned sum is used mainly for implementing development projects and for expenses related to lectures. The IT School is granting merit-based scholarship to the best student of the course. Please note, that it is implemented by reimbursing the paid tuition fee after the course. The lessons are taking place twice a week during evening hours (19:00-21:00). 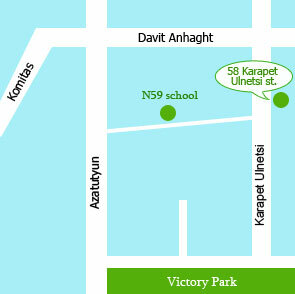 The lessons are held at 58 Karapet Ulnecu st. (Yerevan). No admission will be conducted during the current educational period. You can also subscribe to our news, or join our group in Facebook to be notified about future events as soon as possible. Please subscribe to e-notifications and join the community for IT School news.